It has been a long time since sport was considered just a ‘men’s thing’. However, there is still a lot to do in terms of giving voice to women and respecting them as athletes, without having to talk about sexism or gender inequality. Kelly Mackay is one of co-founders of Halftime London, a community built by women in sport for women in sport with the intention of empowering females to become and remain active. 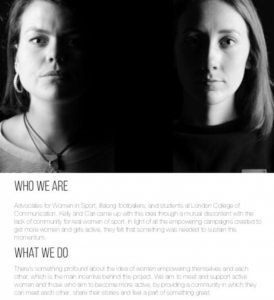 Since meeting Kelly for the first time some years ago, she has always shown me how important it is to speak up and demonstrate the importance of females in our society and, even more, in sport. 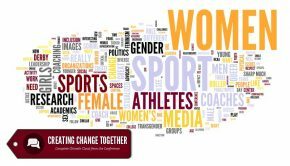 So why create a platform about women in sport? 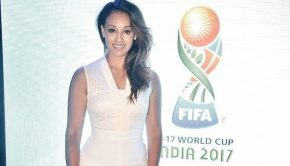 She explains: “As a children’s football coach I’ve watched kids from as young as two playing football together, boys and girls. The idea was well thought-through and analysed before being realised. “I was sitting having a cigarette with my friend Marissa in her kitchen in Glasgow. We were talking about the importance of confidence when it comes to trying something new. “This triggered a question for me about why women and girls feel held back from trying new sports. Fast forward a few months, I was sitting in a pub with Cari, Halftime’s other founder, and we were discussing who are the real women of sport. Halftime London began as a way of showcasing the women and girls they know and respect through their commitment to a sport. Although empowering females was the main intention why this platform and community was built, Mackay emphasizes that the real fight is against inequality. Empowering females in sport is as important as it is empowering men, being equality the outcome and only achievement Halftime London is after. A look through their Instagram account highlights loads of different types of women and stories. And that is absolutely true. I still remember when the 17-year-old girl living in me some years ago was asked to share my relationship with sport to help them start this project. Every time I have met her since then, she has been with the notebook or paying attention to every single story surrounding her. When meeting her, I have sometimes doubted if it was me or her the journalist there, as she keeps asking questions and seeking stories. Empowering women through their successes in sport, and not their personal lives, is what makes the difference. Why do we consider the personal aspects of successful women’s lives when they are not considered in men? Here, the media has a lot to do. “Now that women are slowly entering the limelight, the media is trying to figure out the best way to cover these stories. So, unfortunately, pro-athletes get asked to twerk on stage, or articles are written which refer to a sportswoman as the wife of someone rather than giving them their own autonomy. “This is changing, but it only exists because the media has been built with the tools of the patriarchy. We’ll get there, we’ve just got to grit our teeth and keep fighting. 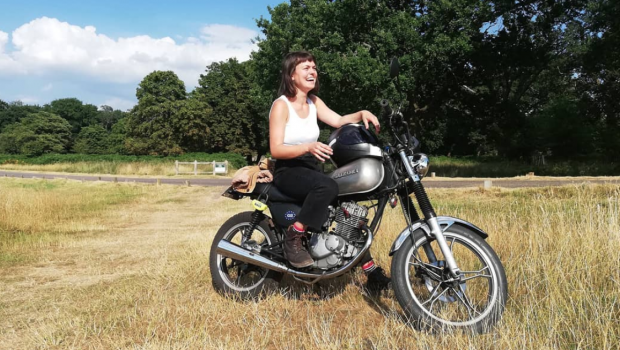 On Halftime’s Instagram account we can see posts from a solo-motorcycle road trip Kelly did from London to Lisbon, via Spain’s northern coast. She tells me it was a way to prove herself that she could do it. Moreover, this perfectly reflects Halftime’s principles. 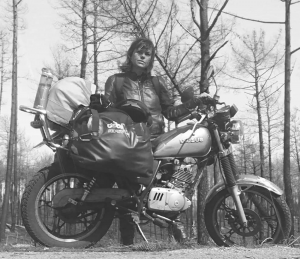 As one of the project’s co-creators, Mackay says she would love this trip to be an example for other women who don’t think they can achieve things through sport. “I want Halftime to be a place to find stories, to feel both inspired and challenged to do something you’ve always wanted to try. Moving on to the wave of feminism that has impacted our society, there is hope in Kelly’s eyes. Moreover, she claims that the most important thing for women is to realise that improving confidence is the best way to reach an active lifestyle. Halftime London is on Instagram. All photos used by kind permission of Halftime London.